Our mission here at Scalingo is to help developers not to worry about anything infrastructure-related. That includes developers working with time series databases (TSDB). 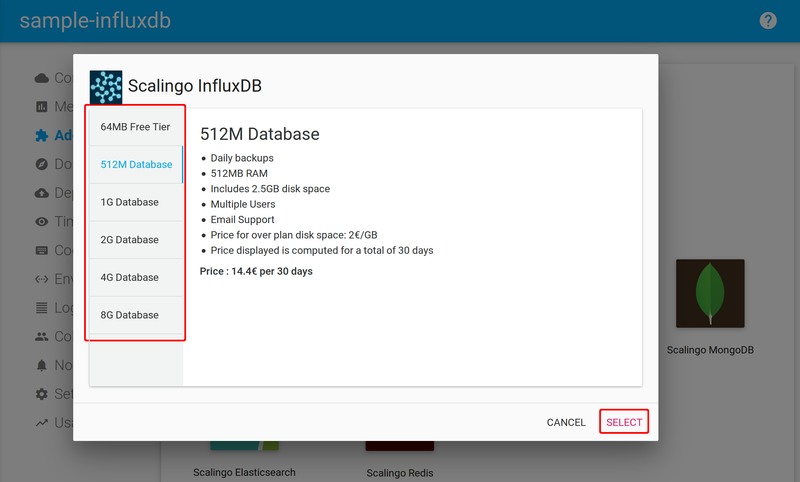 That’s why we’re introducing today the new Scalingo InfluxDB addon offering you an InfluxDB as a Service integrated into Scalingo! What are developers doing with time series database? A time series database (TSDB) is a software system that is optimised for handling time series data, arrays of numbers indexed by time (a datetime or a datetime range). Basically, if you need to store any information over time, you might consider using a TSDB instead of a classic relational database. As you may remember, the metrics view on your Scalingo dashboard displays time series data and, in fact, the behind the scene micro-service is using the Scalingo InfluxDB addon. Built-in HTTP API so you don’t have to write any server side code to get up and running. Data can be tagged, allowing very flexible querying. 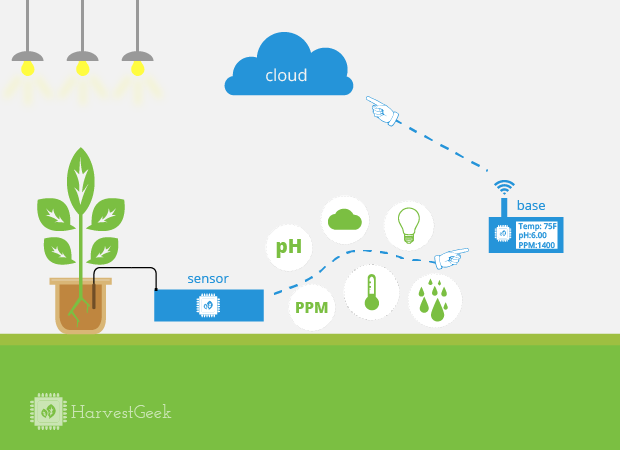 Simple to install and manage, and fast to get data in and out. It aims to answer queries in real-time. That means every data point is indexed as it comes in and is immediately available in queries that should return in < 100ms. In InfluxDB, an information is a combination of a timestamp, a measurement (e.g. cpu_load, temperature) and a field like the measured value itself. You can associate metadata (tags like dc=paris, host=server01) to this information. 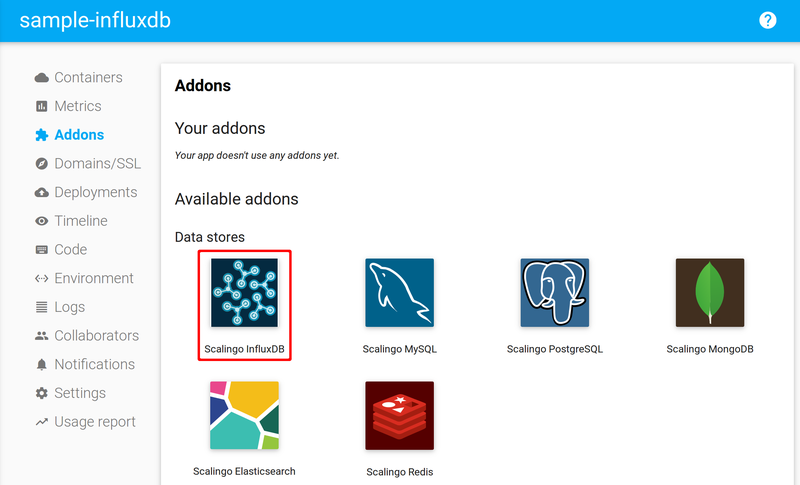 To install InfluxDB on Scalingo, just go to your dashboard, under the Addons tab of an application. Remember that we handle daily backups for any paying plan. The world of time series database is now at a single click range! You can now list plans and read the technical documentation of this addon.